Let's talk Tinder guys. We've all been there; hours of swiping left, swiping right, engaging in witty banter, and riding the rollercoaster of emotions from the behind-a-screen comfort of your home. Apart from thumb RSI, lack of sleep, and screen eyes, there's one remaining piece of the dating game puzzle to deal with once you've made it through the initial phase of a Tinder journey, and that's where to take the lucky human who's scored an IRL first date. They've ticked all (or enough) of the boxes on your perfect bae checklist and you're ready to meet them in the flesh. You want a venue that nails the balance of not trying too hard versus not trying hard enough. 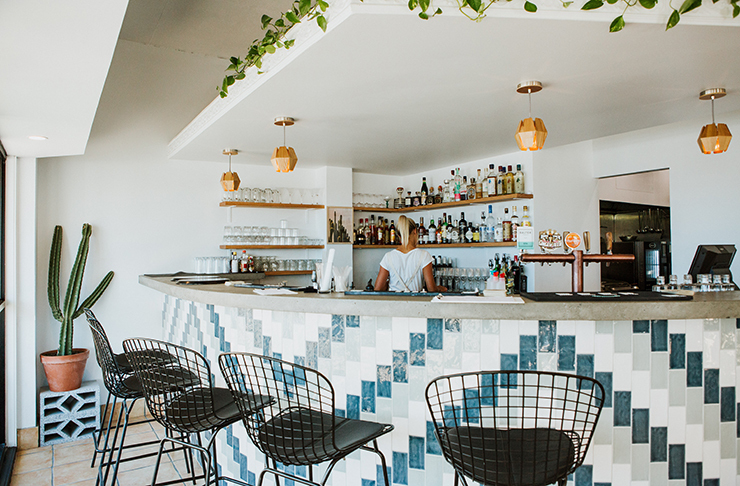 We get it, so we're sharing our top list of Sunshine Coast Tinder date spots that'll hopefully send the two of you soaring into date 2.0 in no time at all. And yes, we expect an invite to the future wedding. Reveal your cool charm within the bustling walls of El Capitano and you'll be throwing some serious nods towards their old-world pizzas and hip interior. Kick off the evening with a Sailor Jerry in hand before chowing down on some of the most delish pizza this end of Queensland and once you've navigated your way through the rough first-date seas, duck across the street to finish the night with a starry-skied beachfront stroll. Bombetta really knows how to make you look good with its sleek, modern design and Italian fare. Yesss, we're aware of the 'not dining at an Italian restaurant on your first date' rule but this is where we challenge you to ignore the norm and dive right into a bowl of creamy fettuccini carbonara. If you're willing to embrace a bowl of pasta and its sure-fire repertoire of awkwardness on your first date, your relationship definitely has potential to last the long haul. Gosh you may as well start your baby name shortlist now. On the forefront of the Mooloolaba Marina, the calming waters surrounding Pier 33 will put those first-date jitters to bed. We suggest snapping up an outdoor table and timing your date to peak at sunset o'clock for maximum woo appeal. Take the lead in ordering a gorg selection of local Sunny Coast seafood and bottle of rosé and that's what we call 'taking care of business'. Ps; may we join you? 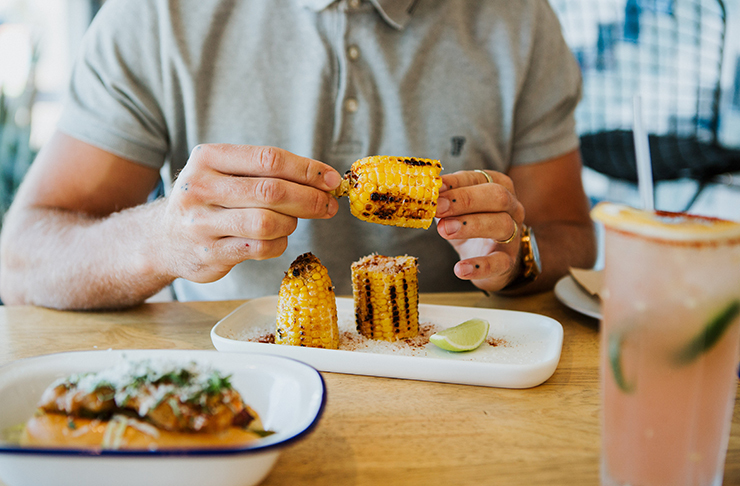 Okay, so a trip to Mexico may seem a little ambitious for a first date so why not plan the next best thing - a boozy lunch at Ol' Cactus in Alex Heads. Has there ever been a cuisine that screams 'casual fun times' louder than Mexican? Nahhh. Throw in a touch of Asian influence and we reckon you'll have this date in the bag. 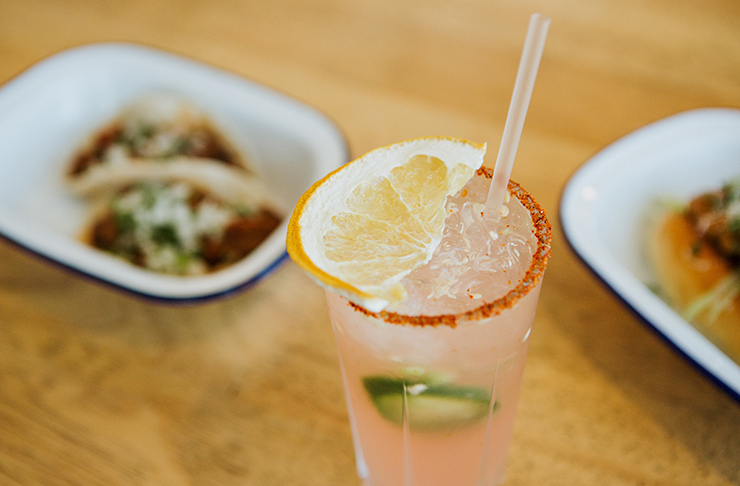 Get the cheeky grins flowing as you woo with your perf pronunciation of guacamole, fajita, tostada, and let's not forget to kick things off with a round of margaritas. Ariiiba! There's a new craft brewery in town and your date wants to be one of the first peeps to check it out, they just don't know it yet. Waddaya waiting for? Lock it in on a Sunday arvo and medicate those first-date dry mouths with all the pale ale you can handle before digging into the menu. The tucker is 10/10 and after a few schooners, in your dates' eyes, you will be too. Jokes, we know you already are. We're in lurve with Land & Sea Brewery. Rise and shine your way into breakfast at Decisions Café. Guys, we're only going to tell you once - avo is the key to anyone and everyone's heart, so unashamedly play that card and get splurgin', the two of you aren't ready for a mortgage anyway. If the avo isn't piquing your date's interest, the menu is loaded with all the #superfood and #superjunk items that'll have them swiping right into the palm of your hand by date's end. You can thank us later. Shine a light on your laid-back side with a few chilled hours at Glass Coffee house and Surf Gallery. With loads of surfboards and photography adorning the walls, you'll never fall short of a conversation starter and the Fonzie Abbott coffee-food menu combo will keep you both full of energy until it's time to part ways. Queenslanders are absolutely blessed with some of the country's finest weather so make the most of the sunshine with an arvo picnic on the Mooloolaba break-wall. Stop into Saltwater Fish and Chippery for a take-away crispy feast that'll go down nicely with a BYO bottle of your fave drop. Align with sunset for maximum emotional resonance, you won't regret it. Spice things up from the get-go with party-in-your-mouth dining courtesy of Sum Yung Guys in Sunshine Beach. Brought to you by Matt Sinclair of MasterChef fame (and three of his buds), you'll dabble over creative cocktails and pan-Asian cuisine whilst absorbing the buzz of this not-so-typical Asian restaurant. Save room for dessert, the ice-cream with caramel pineapple is simply to-die-for and sharing is defs encouraged. Now you've gone on your first date, what about your second? We're thinking visiting the Best Snorkelling On And Around The Sunshine Coast. Or what about a long weekend away? We've also done The Urban List’s Weekender Guide To Moreton Island.